I have the first part of a gorgeous collection to share with you today! 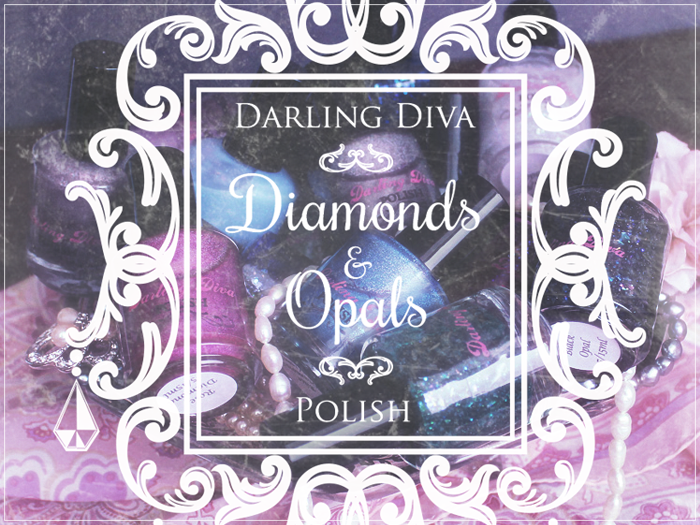 Darling Diva Polish sent me polishes from her newly released collection of colors inspired by two of my favorite precious gems, Diamonds and Opals. I absolutely love this concept and her execution is perfect! Today I have the Opals set, a really unique collection of jellies filled with flakies (yes, flakies! ), iridescent glitter, and holographic micro-glitter. 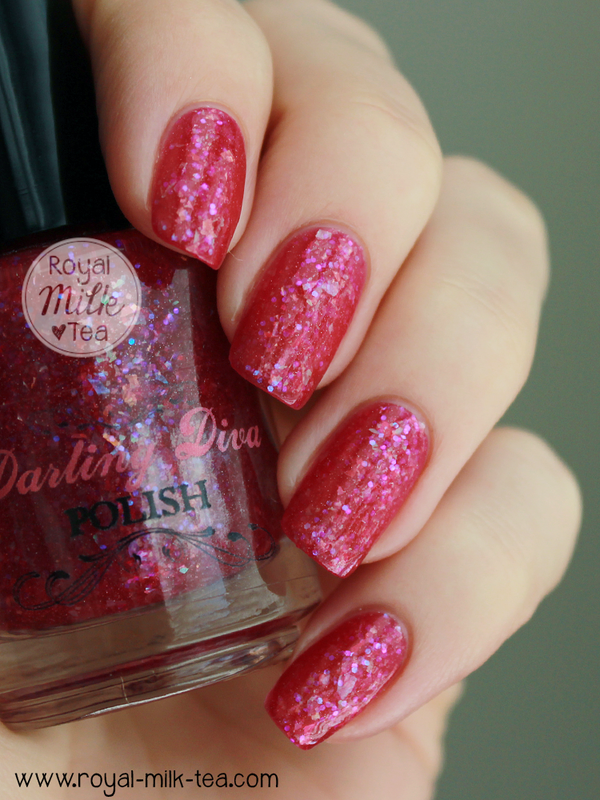 Rose Opal is a bright red-toned pink jelly filled with iridescent flakes, blue/purple iridescent glitter, and very fine silver holographic micro-glitter. The effect is fantastic, and really resembles the fiery iridescence of opal stones. The formula is wonderful, and consistent throughout all of the opal polishes; very easy to work with and semi-to-mostly opaque in 2-4 coats, depending on your preference. The flakies in these are somewhere in between the Nfu Oh/Zoya flakies and mylar flakes (such as in Chila Glaze's Luxe & Lush). They're much thinner and less jagged than the mylar flakes, just not quite as smooth and flat as "flakies." However, just two coats of topcoat made them perfectly smooth for me. 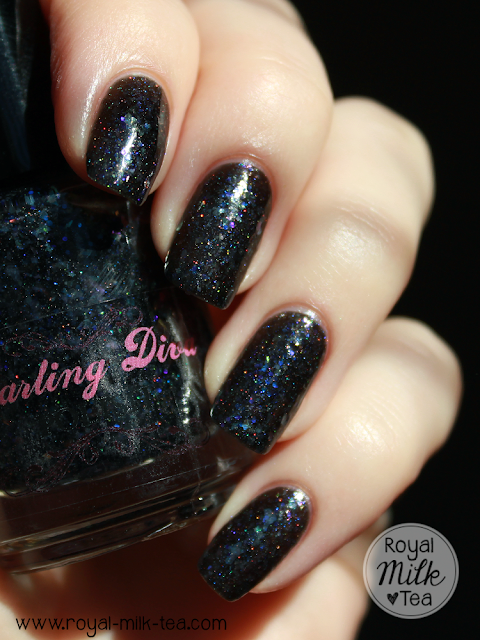 In direct sun, the iridescence can be less visible at certain angles, but the holo really sparkles! 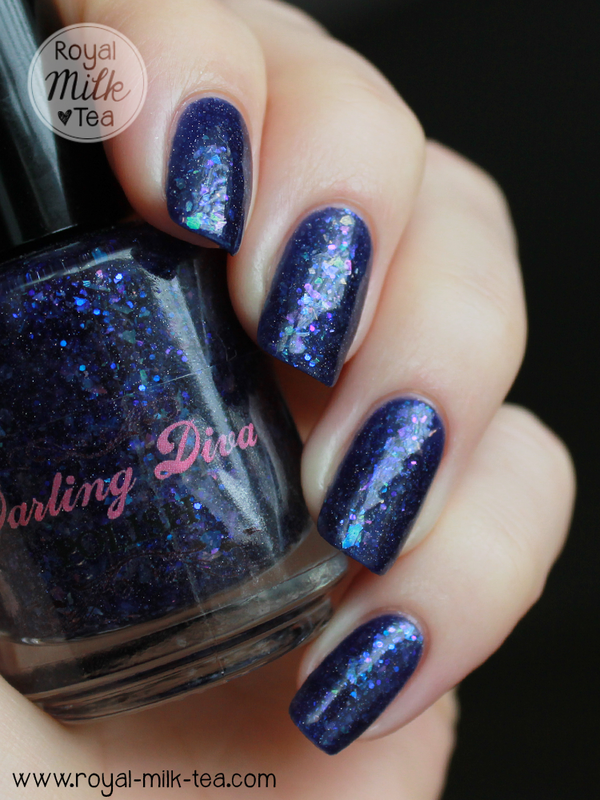 Violet Opal is a beautiful dark indigo containing iridescent flakes, blue/purple iridescent glitter, and holographic silver micro-glitter. Definitely one of my favorites! The beautiful iridescence is especially vibrant in darker colors such as this, and looks incredible with this lovely shade of blue-violet. The formula, like Rose Opal, was excellent and easy to apply, and a touch more opaque, needing only 2-3 coats. 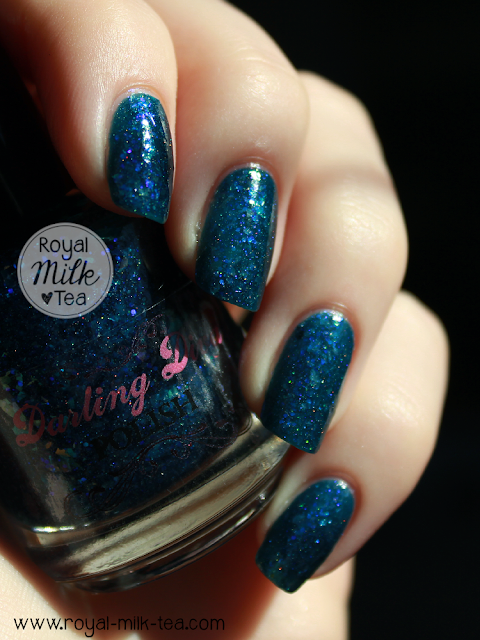 Teal Opal is a teal-leaning-blue/cerulean jelly with iridescent flakes, blue/purple iridescent glitter, and silver holographic micro-glitter. Another color I absolutely love! 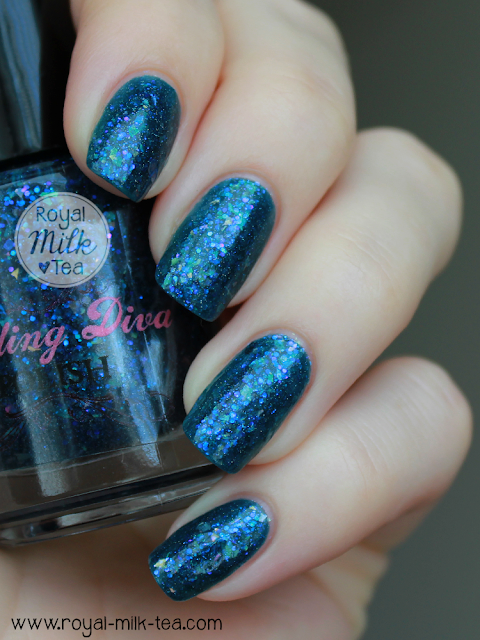 The way the purple and green look within the teal makes the nails look like beautiful, tiny oceans. 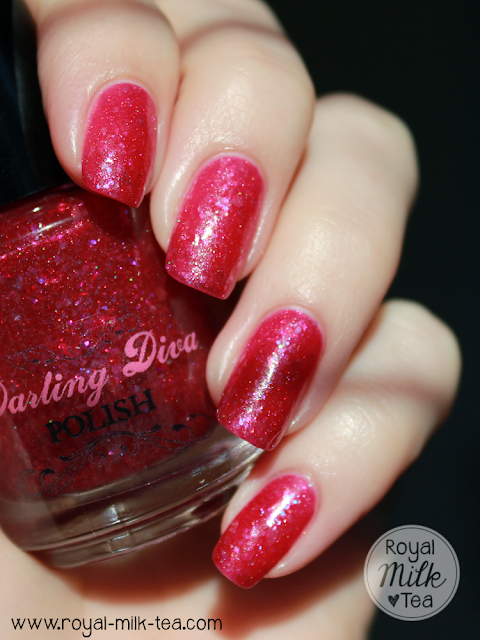 Again, an excellent formula with perfect jelly opacity. Shown here is three coats. Even in full sunlight, the iridescence is visible in Teal Opal. Something about the darker colors seems to really make it pop! Sea Moss Opal is a dazzling emerald green jelly that contains iridescent flakes, blue/purple iridescent glitter, and holographic silver micro-glitter. 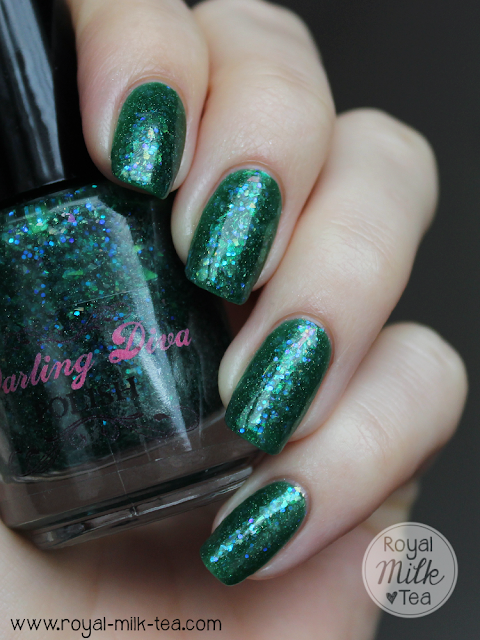 This lovely shade of pine-y green has a very festive, wintery feel for me! 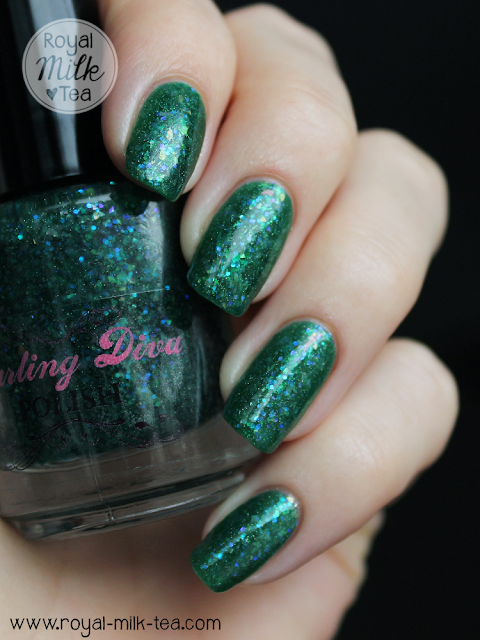 The flakies look amazing in this color as well, turning green, yellow, aqua, and more. The formula was perfect as well, and opaque in 3-4 coats. Blue Opal is a pale, icy blue jelly/crelly with iridescent flakes, blue/purple iridescent glitter, and holographic silver micro-glitter. This color is just swoon! The iridescence looks so gorgeous in this color, resembling the sunrise on freshly fallen snow. Since Blue Opal is much lighter than the other jellies, I needed a couple of extra coats to make it mostly opaque (and hide my yellow-stained nails!). Here I've used about five coats, but you could certainly use less for a more jelly-like look, or layer it over another color, as I've also done below. 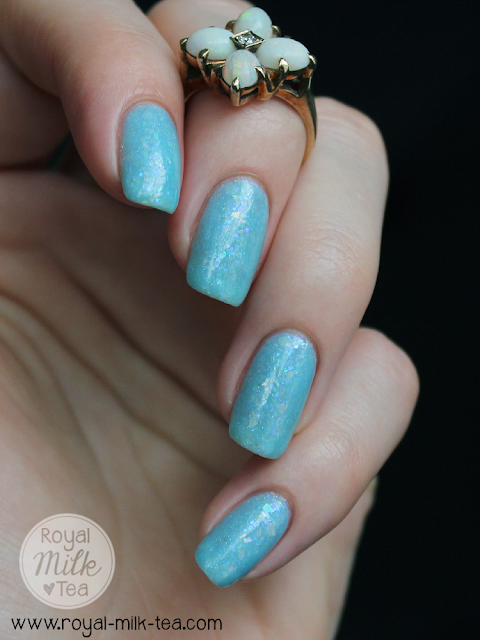 Here is Blue Opal layered over a sky blue cream with silver shimmer, Milani Beach Front. When layered, I only needed about two coats over another color, however it does lose some of the enchanting, ethereal quality is has as a jelly. In full sun it really looks like sunlight sparkling on winter snow! 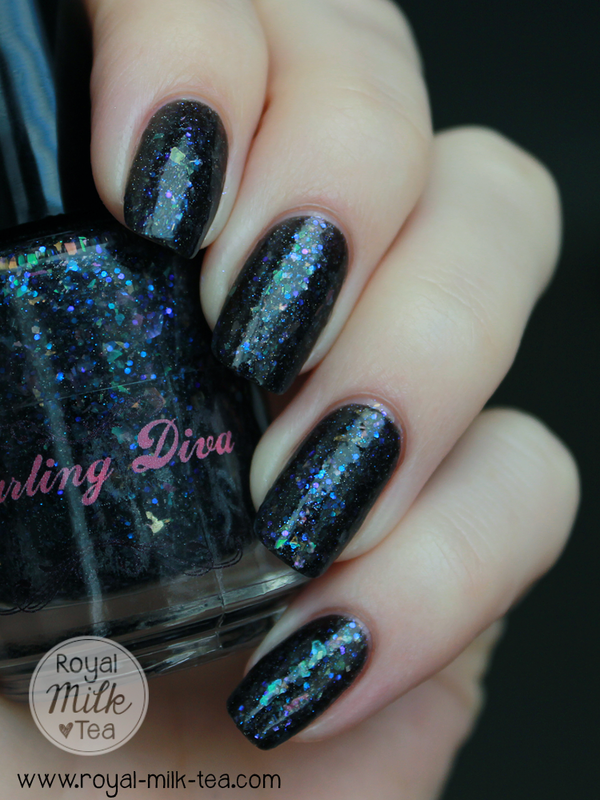 Black Opal is a jet black jelly with iridescent flakes, blue/purple iridescent glitter, and holographic silver micro-glitter. The iridescent flakes and glitter glow crazy-bright in this one! It reminds me of deep space, or the deep ocean layer-- very beautiful and mysterious. The formula and opacity are excellent with perfect application. Shown here is three coats. 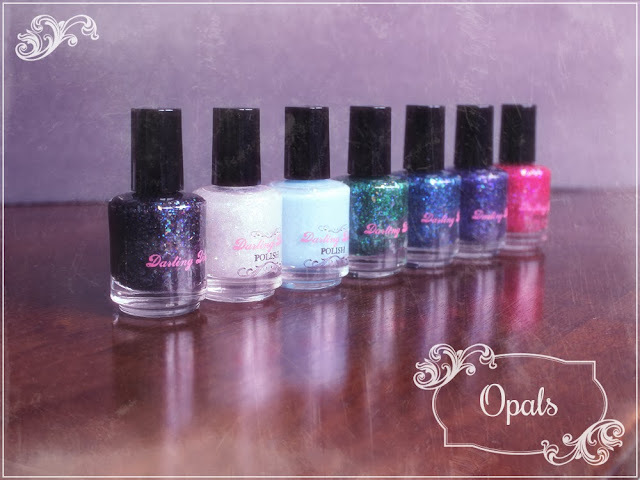 Opal is a clear-based topcoat containing iridescent flakes, blue/purple iridescent glitter, and holographic silver micro-glitter. This is such a gorgeous topper! I would definitely recommend it over medium-dark colors to get the most vibrant iridescent effect. Here I have two layers of Opal layered over Nina Ultra Pro Never Glum Plum, a dark, smokey taupe. 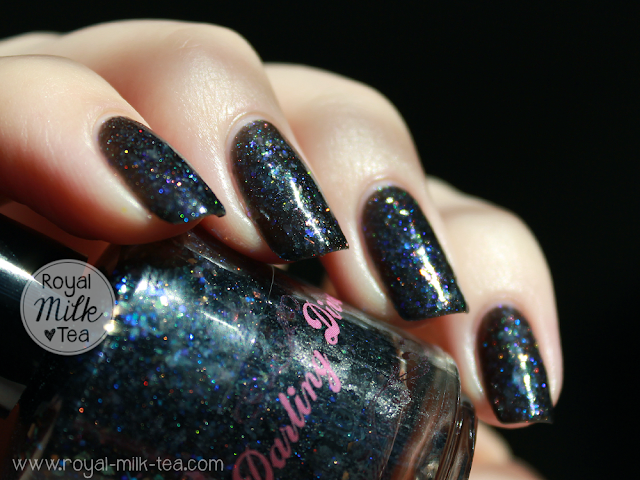 In direct light, the flakies take on a clear, glass-like look. As soon as I saw these colors, I knew I was going to love them all! Like the fiery precious gem, these opals are absolutely stunning, especially for jelly-lovers like myself. I love this collection, Teal Opal and Blue Opal look amazing!